The May 9 Elections has already been passed and several candidates from the lowest position up to the highest position in the government has already been declared as winners. Incoming President Mayor Rodrigo Duterte of Davao city, is the landslide winner of the Presidential race, dominating the presidential votes from Day 1, leading as much 6 million votes from the 2nd place Mar Roxas of the Liberal Party. 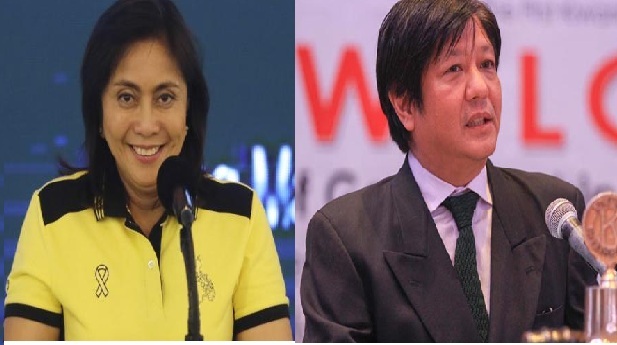 Unlike the Presidential race where a clear winner is already declared, the VP race are still in a tight race between Liberal Party and Camarines Sur Representative Leni Robredo against Nacionalista Party Sen. Ferdinand Romualdez Marcos, Jr also known as “Bongbong Marcos” the son of the late dictator President Ferdinand E. Marcos. The race between Leni Robredo and Bongbong Marcos became controversial after Leni Robredo takes the lead on the morning of May 10, where rumors of alleged cheating? Or “dagdad-bawas” happen during most people are asleep. Marcos, who take the early lead in the VP race on the early counting of votes on May 9, he has an estimated of more than 1 million votes away from the 2nd place Leni Robredo, but slowly decreases his lead during late night of May 9 till he was overtake by Leni Robredo in the morning of May 10. Since then Robredo maintain her lead up to now. Social media users take their opportunity to give their different opinion about the VP race, some believes that Marcos was cheated by the administration particularly President Ninoy Aquino because of the dispute between two family that up to know still exist. Some netizens question on how Leni Robredo gets her votes? Despite less popularity of all VP candidates and less endorser compared to Sen.Marcos, who has many and bigger endorser and highly favored to win the VP Race. There are many question about what happen in the VP Race? But as the counting continuous and there’s a lot of votes that still to be counted let’s wait and see on who will be the real winner for the Vice President of the Philippines? As of today May 13, for the VP race LP bet Leni Robredo, still holding the number 1 position with 13,992,734 votes against the 2nd place Sen. Marcos who has 13,775,423 votes according to PPCRV as of 6:45 am. No Comment to " Rep. Leni Robredo Maintain Her Lead against Sen. Marcos in a Tight Race for Vice President "